The 2016 Monaco Yacht Show was once again hailed as a triumph by the industry, but what do brokers really think about the show? What would they change if they could? And what does the show have to do to maintain its leading position? We spoke to some of the superyacht world’s most prominent brokers to get the answers to all these questions and more. Alex Lees-Buckley, Monaco-based senior broker for Camper & Nicholsons International, said: “I felt that there was a similar amount of genuine clients but fewer time wasters. On a separate note, there were notably fewer Russians than in previous years. In terms of improving the show, they need to ensure reliable cellphone coverage along with acceptable bathroom facilities. I would also include Sunday in the show and make Wednesday trade-only, so that exhibitors and brokers have time to look around other yachts on display.” Meanwhile, Simon Goldsworthy, senior broker at Camper & Nicholsons’ London office, added: “One new nationality that seemed to be in more evidence was Turkish clients. 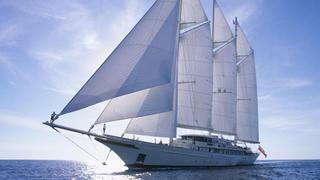 Business has prospered here in recent years — they are a seafaring nation and love yachts. US buyers are certainly pausing until after the election to make a decision, but this does not affect the rest of the world. Also the clients are definitely getting younger – or perhaps it’s just me getting older!” Goldsworthy added that the show’s infrastructure “simply hasn’t kept up with the demands placed upon it” and suggested either setting a minimum number of brokerage yachts on display at Monaco Yacht Show or creating a separate brokerage area of the show. Finally, marketing director Kurt Fraser advocated raising prices “to ensure that qualified individuals are attending the show” as well as improving access points and circulation. Pictured above: Superyacht Icon, which was displayed at Monaco and is offered for sale with Camper & Nicholsons International. The 2016 Monaco Yacht Show was once again hailed as a triumph by the industry, but what do brokers really think about the show? What would they change if they could? And what does the show have to do to maintain its leading position? We spoke to some of the superyacht world’s most prominent brokers to get the answers to all these questions and more. Goldsworthy added that the show’s infrastructure “simply hasn’t kept up with the demands placed upon it” and suggested either setting a minimum number of brokerage yachts on display at Monaco Yacht Show or creating a separate brokerage area of the show. Finally, marketing director Kurt Fraser advocated raising prices “to ensure that qualified individuals are attending the show” as well as improving access points and circulation. 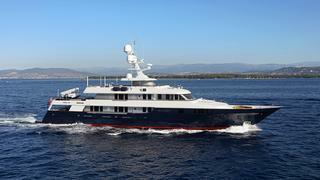 Pictured above: Superyacht Icon, which was displayed at Monaco and is offered for sale with Camper & Nicholsons International. David Seal, Antibes-based broker for Northrop & Johnson, gave his reaction to the 2016 Monaco Yacht Show, saying: “This year was even better than 2015. I have noted a marked increase in the number of qualified buyers who I am in contact with, not necessarily due to their attendance at the show but rather as a result of them sending representatives. “Turkey came up in conversation quite often. The trouble experienced over there is creating difficulties for builders in Turkey and buyers with business interests in the country. 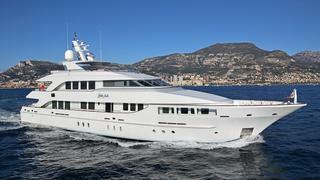 “The Monaco Yacht Show continues to be in a strong position. Yacht owners enjoy attending, even if only to reconnect with builders, designers, and brokers. They should make the tender shuttles more regular, though. My iPhone app indicated I was walking nine miles a day, but in my case that may be a blessing though!” Pictured above: Benetti superyacht Starfire, which was displayed at Monaco and is offered for sale with Northrop & Johnson and Merle Wood Associates. David Seal, Antibes-based broker for Northrop & Johnson, gave his reaction to the 2016 Monaco Yacht Show, saying: “This year was even better than 2015. I have noted a marked increase in the number of qualified buyers who I am in contact with, not necessarily due to their attendance at the show but rather as a result of them sending representatives. “Turkey came up in conversation quite often. The trouble experienced over there is creating difficulties for builders in Turkey and buyers with business interests in the country. Pictured above: Benetti superyacht Starfire, which was displayed at Monaco and is offered for sale with Northrop & Johnson and Merle Wood Associates. Toby Maclaurin, sales and marketing director at Ocean Independence, said that a 20% drop in the overall attendance didn’t affect his company’s ability to attract the right kind of clients. “The spread of clients for us was a healthy mix of new-build, build supervision, yacht management, brokerage, and charter. We had a greater number of technical and project meetings on our new stand this year, although one client went from a new build project to offering on (and subsequently securing) a brokerage yacht, due to the time it would take to build.” “The numerous shocks of 2016 do seem to be fading and in the few weeks before the show the market saw more movement and this is continuing,” he added. Urging a greater emphasis on B2C over B2B, McLaurin concluded: “The organisers must not overcharge those who bring the main product that attracts clients to the show. 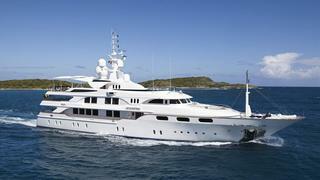 The industry needs a diverse and exciting range of yachts at the show and selection done solely by who is prepared to pay the most could well backfire — I think we have already started to see an element of this.” Pictured above: Heesen superyacht Little Fish, which was displayed at Monaco and is offered for sale with Ocean Independence. Toby Maclaurin, sales and marketing director at Ocean Independence, said that a 20% drop in the overall attendance didn’t affect his company’s ability to attract the right kind of clients. “The numerous shocks of 2016 do seem to be fading and in the few weeks before the show the market saw more movement and this is continuing,” he added. Pictured above: Heesen superyacht Little Fish, which was displayed at Monaco and is offered for sale with Ocean Independence. Russell Crump, director of sales at YPI, agreed that “the event did seem much quieter than usual”, but added that there were still some excellent leads generated. “In some ways I see the show starting to become a victim of its own success,” he continued. "Everyone wants to be there. 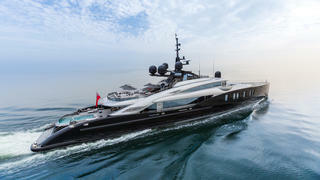 But if everyone is there, then it risks no longer being exclusive, or focused on clients or even on the yachts. If the Monaco Yacht Show slips into becoming more business-to-business focussed, then my fear is we will see fewer clients attending in person, and up until now, that has always been the beauty and the benefit of Monaco for everyone.” William Bishop, senior broker at YPI and head of the sailing division, expressed his concern for the direction of the show by saying: “What was very noticeable this year was the amount of support industry suppliers present and sales people from other industries outside of yachting. I think the organisers need to be careful not to lose the balance.” Mark Duncan, commercial and marketing director at YPI, concluded: “We have been involved with the Monaco Yacht Show from the very start, our clients over the years have frequently shared with us how they appreciate being in such a beautiful location able to visit so many of the key yachts our industry has to offer. I think it’s important we keep Monaco for these clients, and for those who build and represent the yachts they are interested in.” Pictured above: Holland Jachtbouw sailing yacht Emmaline, which was displayed at Monaco and is offered for sale with YPI. Russell Crump, director of sales at YPI, agreed that “the event did seem much quieter than usual”, but added that there were still some excellent leads generated. Pictured above: Holland Jachtbouw sailing yacht Emmaline, which was displayed at Monaco and is offered for sale with YPI. Vassilis Fotilas, sales broker at Fraser Yachts gave his verdict on Monaco Yacht Show 2016, saying: “We feel that the show was better than last year. The clients attending the show were fairly similar to last year, though we did notice more owners of yachts on display visiting the show than in previous years. “There is great disparity between the cost for large yacht brokerage firms and shipyards to attend compared to the results the Monaco Yacht Show brings,” he added. “The challenge the show now faces is retaining its position as the world’s premier yachting event.” Pictured above: Palmer Johnson superyacht Helios 2, which was displayed at Monaco and is offered for sale with Fraser Yachts. Vassilis Fotilas, sales broker at Fraser Yachts gave his verdict on Monaco Yacht Show 2016, saying: “We feel that the show was better than last year. The clients attending the show were fairly similar to last year, though we did notice more owners of yachts on display visiting the show than in previous years. Pictured above: Palmer Johnson superyacht Helios 2, which was displayed at Monaco and is offered for sale with Fraser Yachts. Carl Richardson, head of marketing and communications at Edmiston, said: “We had a high number of appointments across the fleet with a noticeable number of existing yacht owners and serious buyers. 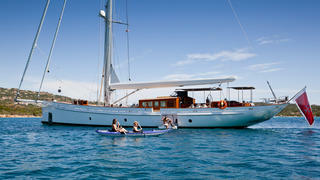 A yacht like Enigma (pictured above) will always attract people, but we also had proper offers made. It all added up to a high-calibre show.” Richardson dismissed the notion that global political events would have a significant bearing on the decision to buy a superyacht, adding: “The main issues with regards to a yacht purchase are largely unchanged, with the notion of value, relationship, costs, and exacting personal requirements of more immediate concern.” In conclusion, he remarked: “The show has to ensure it works with brokers and builders to deliver the best possible selection of yachts, and make it as easy as possible to do so. It’s important it allows new businesses in and works to promote the entire industry, but ultimately it’s a yacht show and will be judged accordingly. And it’s not the show’s fault, but can somebody please get around a table and sort out the mobile phone network in Monaco?” Pictured above: Blohm+Voss superyacht Enigma, which was displayed at Monaco and is offered for sale with Edmiston & Company. Pictured above: Blohm+Voss superyacht Enigma, which was displayed at Monaco and is offered for sale with Edmiston & Company. Travis Motta, sales and charter broker at Moran Yacht & Ship, said: “This year’s show definitely had less foot traffic, but more qualified buyers. All of our brokers generated more leads than previous years. We felt that more Americans were at the show this year than usual, which is great to see at a European show. The upcoming US Presidential election was certainly a concern, but that didn’t stop clients from attending and discussing purchasing new yachts. “The show is doing a good job of making improvements year after year. The biggest thing would be allowing the brokerages to put their line-up of yachts together. We were very fortunate this year as all four of our yachts were within 100 metres of each other. In years past we had 10-15 minute walks and tender rides to get to different yachts.” Pictured above: ISA superyacht Okto, which was displayed at Monaco and is offered for sale with Moran Yacht & Ship. Travis Motta, sales and charter broker at Moran Yacht & Ship, said: “This year’s show definitely had less foot traffic, but more qualified buyers. All of our brokers generated more leads than previous years. We felt that more Americans were at the show this year than usual, which is great to see at a European show. The upcoming US Presidential election was certainly a concern, but that didn’t stop clients from attending and discussing purchasing new yachts. 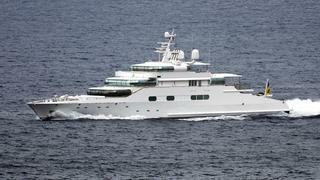 Pictured above: ISA superyacht Okto, which was displayed at Monaco and is offered for sale with Moran Yacht & Ship. Alev Karagulle, director of marketing and communications at Burgess Yachts, agreed that this year’s show was better than 2015, going as far as to call it “possibly the most positive show we have seen for a long time”, while admitting that “any tangible uptick in business won't necessarily manifest itself for a few months”. “We had a large team on the ground who were kept consistently busy with yacht inspections throughout the four days,” she added. “Overall we are optimistic that the level of interest suggests a continued solid market, at least for the short term. The evolution of the show was particularly apparent this time with an increasing number of existing owners treating the event as a fun diversion and as an opportunity to keep up to date with the wider industry whilst being entertained and enjoying themselves.” Pictured above: Royal Huisman sailing yacht Athena, which was displayed at Monaco and is offered for sale with Burgess Yachts and Merle Wood Associates. Alev Karagulle, director of marketing and communications at Burgess Yachts, agreed that this year’s show was better than 2015, going as far as to call it “possibly the most positive show we have seen for a long time”, while admitting that “any tangible uptick in business won't necessarily manifest itself for a few months”. Pictured above: Royal Huisman sailing yacht Athena, which was displayed at Monaco and is offered for sale with Burgess Yachts and Merle Wood Associates.